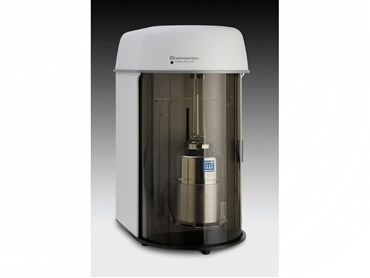 Particle & Surface Sciences introduces a new surface area and porosity system from Micromeritics. The new Micromeritics TriStar II Plus is a fully automated, three-station surface area and porosity analyser designed for laboratories that require the combination of high throughput and high quality data. The TriStar II Plus contains all the capabilities of the popular TriStar II with additional hardware and software features. Suited for use in both quality control and research environments, the TriStar II Plus can collect up to 1000 data points. Fine details of the isotherm can be observed and recorded providing high resolution and revealing pore structure details. User selectable data ranges through the graphic interface allow direct modelling for BET, t-Plot, Langmuir, DFT interpretation etc.